India should have a uniform structure of road tax for vehicles across states. A government panel setup to recommend transport reforms has proposed. 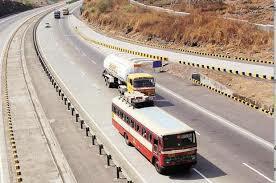 A uniform tax structure will put a check on people registering their vehicles in low tax states and running them in other states, the group of ministers (GoM) on transport constituted by the road transport and highways ministry said in a meeting held in Guwahati headed by Rajasthan transport minister Yoonus Khan. Dilip Chenoy was appointed as the Secretary General of industry body Federation of Indian Chambers of Commerce and Industry (FICCI) from succeeding Sanjaya Baru. Chenoy was working as Director General of the industry body till now. Public sector firm SJVN Limited has targeted to generate 9200 million units of electricity from its four power stations in the country during the financial year 2018-19. A Memorandum of Understanding to this effect was signed by the company with the Union Ministry of Power in New Delhi. 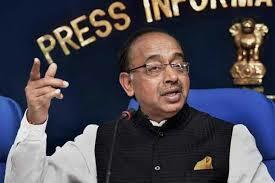 Union Minister of State for Parliamentary Affairs, Statistics and Programme Implementation, Shri Vijay Goel inaugurated the new office of Central Project Monitoring Unit for the e-Vidhan project of the Government at the Parliament House Annex. Students across the world will now be able to pursue the education in prominent Indian Educational Institutions. 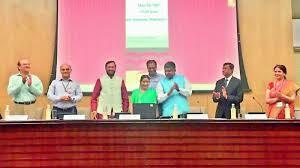 In another ground breaking initiative of HRD Ministry, Union External Affairs Minister, Smt Sushma Swaraj and Minister of State for HRD, Dr. Satya Pal Singh.